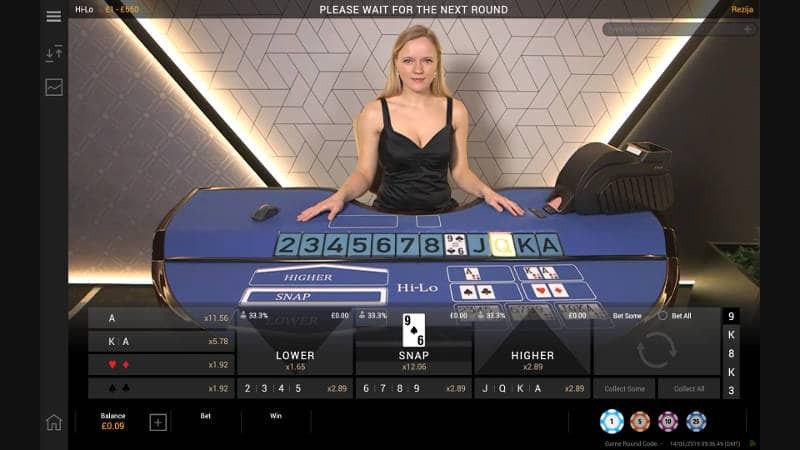 Live Hi Lo is the latest table game to be turned into a live casino game. It’s very popular in land based casinos and like 3 card poker has it’s own very dedicated followers. At the moment it’s available at Bet365 and Betfair. In a nutshell the game is all about predicting and betting on whether the next card dealt from the pack is higher, lower or the same as the previous one. It’s a straightforward game to understand and if you play it carefully and avoid betting at certain times you can do well. On the flip side, it’s a table game and you’re gambling, so in the long term you’re likely to lose. The reported Return To Player (RTP) for the game played with 6 decks without 10’s is 96.45%. As mentioned above, the aim of the game is to predict the value of the winning card in comparison to the base card which is dealt by the dealer at the beginning of the game round. The result card that is dealt becomes the base card for the next round and so on until the deck is shuffled. Being two, three, four or five. Being six, seven, eight or nine. Being Jack, Queen, King or Ace. All of the different options have odds assigned to them and they are displayed in the picture. 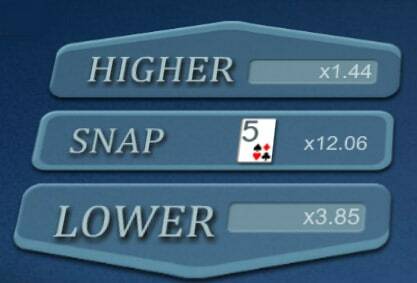 The odds for higher or lower are calculated when the base card is known. The dealer then draws 4 cards from the dealing shoe. 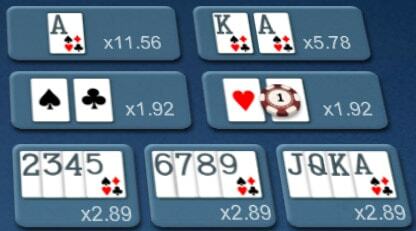 The 4th card dealt becomes the result card and is placed on the grid in front of the dealer. Winning payers are then paid out. The cycle then repeats with the result card now becoming the base card and a new betting round is started. It’s currently only being offered by Playtech, so it’ll be interesting to see whether it will be licensed so that other Live Casinos can use it. Have a look at the game in action at the Bet365 Live Casino.